So many songs about eyes: lying, dying, crying, all formats, genres, languages have songs about the eyes of others, the windows into the soul. “Can’t Take My Eyes Off of You” was a corny ballad with terrific hooks that was one of the top songs from 1967. 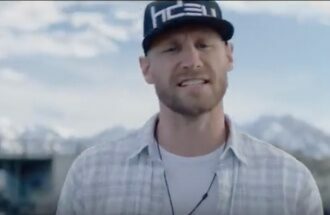 Chase Rice is a lucky guy: rugged good looks, a knack for adventure, talent to sing and write hit songs. His show biz career kicked off with national TV exposure on the reality show “Survivor: Nicaragua;” there was a stint as a member of a NASCAR pit crew, and then he co-wrote “Cruise,” the first major hit for Florida Georgia Line. In late 2017 he released his current album, “Lions & Lambs,” and early this month dropped a Worldwide Deluxe edition of the collection. “Eyes On You” is currently Top 10 on the Country chart.